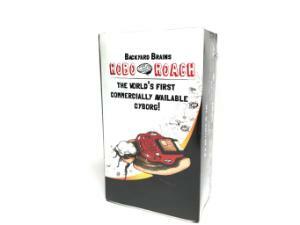 Own the world’s first commercially available cyborg with the RoboRoach! 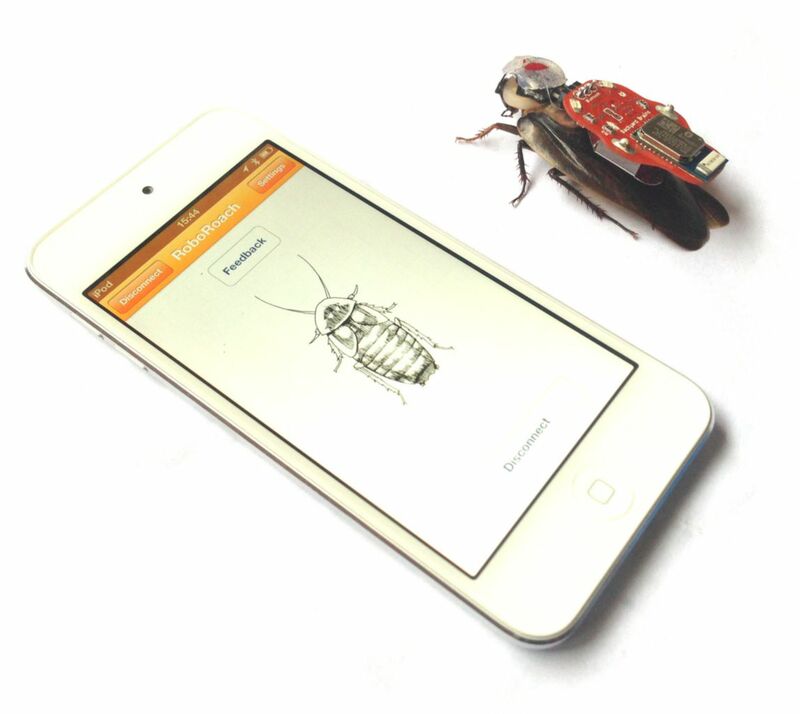 Control a half cockroach, half cyborg with your iPhone or Android! 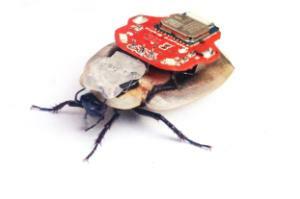 Backyard Brains Released “The RoboRoach,” hailing it as the world’s first commercially available cyborg. This DIY neuroscience kit allows students and science lovers to remotely control a living cockroach with their iPhone or Android mobile device. 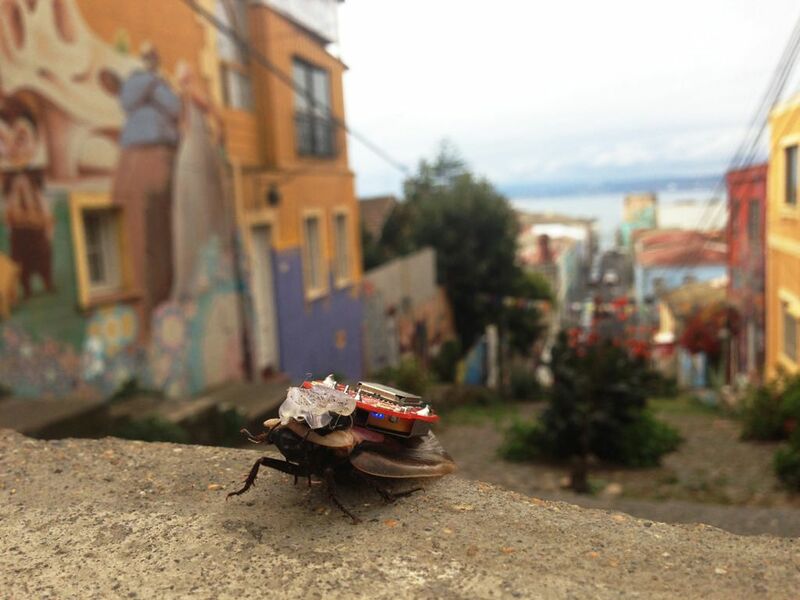 By swiping left or right, users can guide a cockroach’s movement. 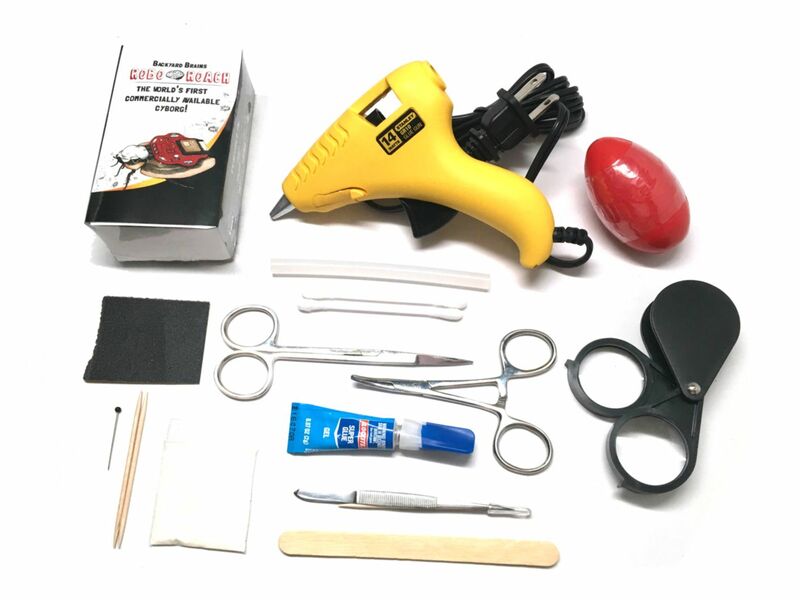 Backyard Brains is a leading biotechnology startup dedicated to providing affordable educational tools to help make neuroscience experiments more accessible. Previously, only university students and professionals could gain access to the complex and expensive equipment required to perform neuroscience experiments on living brain cells. Now everyone can gain access to devices which allow them to become DIY neuroscientists. 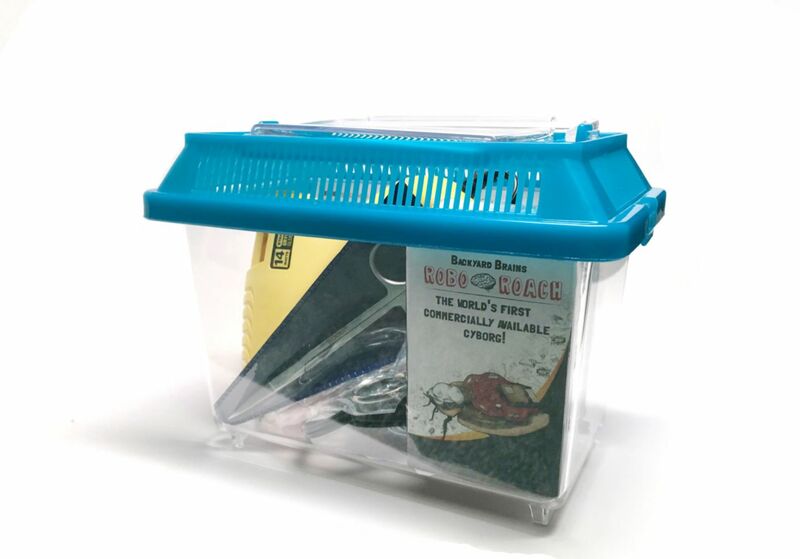 The RoboRoach, made popular by its viral KickStarter, is one of the most popular and robust tools to learn the intricacies of neuroscience and respect for invertebrate sciences in a fun, ethical, hands-on way. Following either the video guide or illustrated experimental write up on the Backyard Brains website, users will first glue a small electrode to a cockroach’s exoskeleton before attaching the electrode wires to the cockroach’s antennae. The RoboRoach backpack plugs into the electrode and connects via bluetooth to your mobile device. Anyone with the App can then connect and send microstimulation to the cockroach’s attenae, tricking it into thinking it is bumping up against obstacles, and thus causing it to turn away! Backyard Brains explains that this experiment is designed to be both a demonstration and a learning opportunity. The experiment is an example of how your neurons respond to stimulation, what kind of stimulation they respond to, and how the brain adapts to repeated, unimportant stimuli. In fact, part of The RoboRoach experiment was developed by high-schoolers who were interested in learning about whether repeated or random stimulation settings would cause quicker habituation times. The kit contains everything for the surgery and the control circuit, but it requires you to purchase large cockroaches separately. 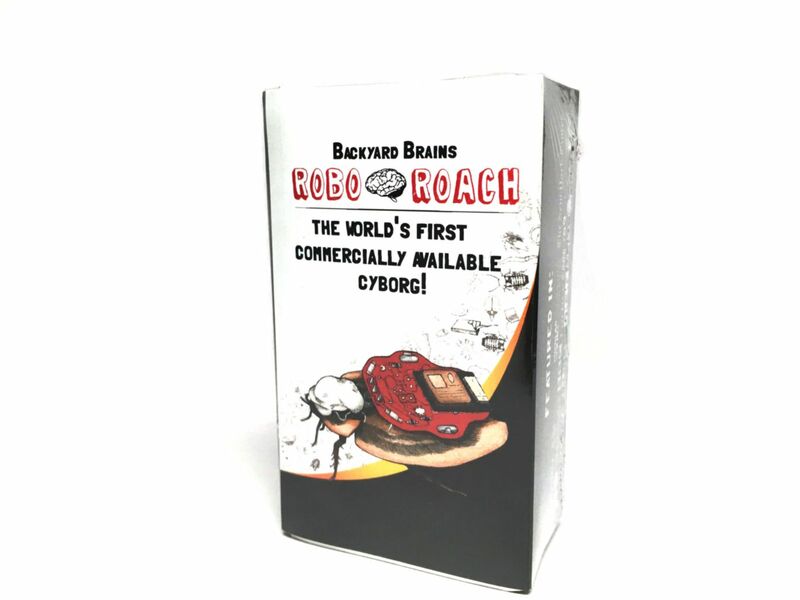 Ordering information: The RoboRoach contains 1x Free iOS or Android 4.3+ application for remote control, 1x Bluetooth Roboroach backpack control unit, 1x 1632 RoboRoach Battery, 3x Electrode Sets (to implant 3 Roaches), 1x A Roach Terrarium, 1x Fine forceps (tweezers), 1x Forceps (hemostat), 1x Loupe, 1x Low temp Hot Glue Gun, and 1x Hot glue sticks.